Believe it or not, there is a right and wrong way to use lens shift on a projector. While sometimes thought of as a “miracle cure” to any sort of placement problems, there are limitations. Aside from the physical limits of how far you can shift a projected image, you need to understand what is going on to achieve the best image. The mechanism that performs the Lens shift can be manual or motorized. Either way, the lens is literally shifted around to adjust the point of focus along either just the horizontal and/or vertical axis (depending on the features of the projector). A way to think about what is happening is to imagine yourself standing and looking in the direction of a solid fence that is the same height as you. From your point of view, you can see above the fence, but not behind it. If you were to stand on a chair and “shift” your viewpoint vertically, you will now begin to see portions of what is behind the fence. 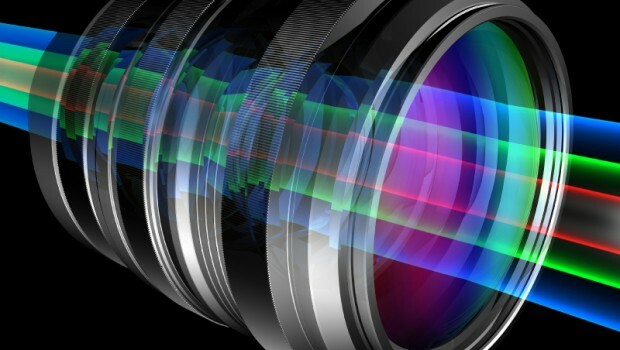 Shifting the lens accomplishes a similar function, essentially moving the projected image on the screen. It should be noted that most projectors have a small degree of fixed lens offset built into the design to allow for either higher to the ceiling or desk positioning without the need for a lot of keystone. Lens shift gives you additional variable control of the lens positioning. It really is that simple, but you need to make sure you are starting out at the proper baseline before attempting to adjust the shift. Since you can move the image around on the screen, many people are tempted to just throw the image up on a screen, then use shift to get it centered. The problem with this approach is that you will likely have all sorts of image distortion and keystone due to not being square to the screen. The ONLY way to properly align a projector with lens shift is to make sure everything is square and level BEFORE touching the lens shift. In order to do this, the first step is to reset the lens shift to a mid-range position. If there are no range indications as in the case of manual shift, you may have to guess. The best way to do this is to adjust all the way from one limit to the opposite and then split the difference. Once you have your lens shift reset, then you can proceed to twist and tilt the projector as required to get the image square and level. You will want to focus on getting square corners on screen – any keystone needs to be corrected by physical adjustments of roll, pitch, and yaw. Don’t worry about where the image lands on the screen, just get it square. I find that it helps to adjust the zoom to make the image smaller so you can clearly see all four corners and ensure uniform square edges. Now that the image is square, you can lock down the mount. At this point, you can move the image around using lens shift and zoom to get the image filling the screen perfectly. With zero lens shift “applied”, you will be using the largest and flattest area of the lens, thus producing the least optically distorted image. As more shift is applied to lens positioning, you start to use a portion of the lens that has more curvature, thus producing varying levels of optical distortion. This can cause a loss of some brightness, but mostly results in problems getting the image totally square at the corners. Interestingly enough, this is why zero axis lenses used in rear projection typically do not allow for lens shift. Due to the extreme curvature of the lens dictated by the short throw characteristics required in rear projection systems, there would be very little margin of adjustment before the image became rounded around the corners.